Tangy Vinegar Barbecue Sauce Is a Spicy Carolina Tradition! 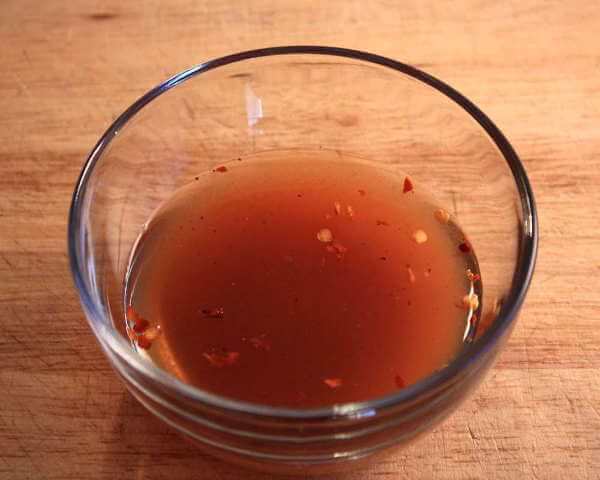 This Vinegar Barbecue Sauce Recipe Is Perfect For Pork! 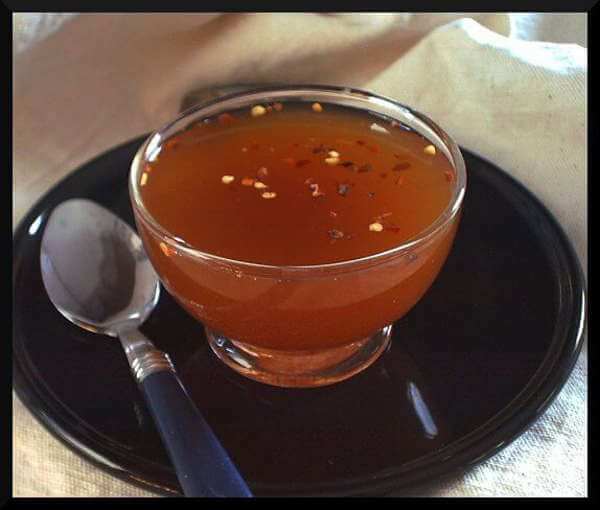 This style of vinegar barbecue sauce is popular in the eastern part of the Carolinas. Tangy with vinegar and slightly sweet, it makes for a good baste to use while the meat is smoking, or it can be used as a dipping sauce. It's got some heat too, so watch out! This sauce is a favorite to baste on pork shoulders as they smoke. And after the pork's been pulled, mix in some more right before serving it up with the white buns. There are many variations of this sauce. Some contain just vinegar and peppers, and others include a little brown sugar and salt, and maybe a bit of tomato. My favorite recipe uses just a touch of cayenne pepper for excitement! Here's how I do it. Mix the ingredients until the sugar is dissolved. This sauce really improves if it is allowed to rest for a day or two, which gives the flavors a chance to blend. Feel free to experiment with different amounts of the peppers and the sugar to get the sweetness and heat you desire. If I'm smoking a less fatty cut of pork, like a whole loin, I'll mix this sauce with an even amount of light vegetable oil, and use it as a basting liquid. The oil helps the leaner meat remain moist as it smokes.